And we’re off…Heading to the Natural Products EXPO WEST in sunny California March 6-7-8. This is an industry show for the natural products trade, but we think everyone should know about it. This is where so many healthy brands begin. We started doing these shows 20+ years ago. Sharon, our founder, did them with her mom and dad. 20 Years Ago! 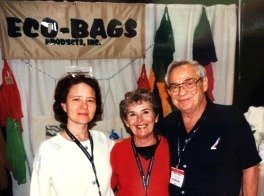 Expo West Booth – CEO and Founder Sharon Rowe with Mom and Dad. ECOBAGS® was the first brand to make bags in certified organic cotton, recycled cotton, producing responsibly and sustainably and, the first to introduce classic string shopping bags and reusable produce bags (1999). When customers asked for custom printed bags we added cloth and canvas totes of all sizes, all produced with fair wage and labor. 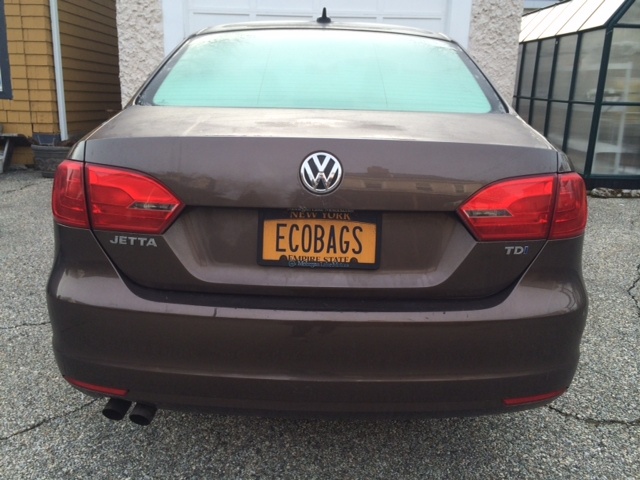 So, if you’ll be at the show too – MEET UP WITH SHARON – tweet @ecobags #meeupexpowest, call or message her on linkedin. Sharon will be on the floor, walking and talking to current customers as well as spending time in the Threshold Distributors Booth # 1826 (side 2). You can also see ECOBAGS® products in the Frontier Booth # 3831 and get info from Select Nutrition/Honest Green Distributors, too. You can meet up with Sharon at the many Bcorp parties on the floor and off and at the Organic Trade Association Dinner on Thursday night. 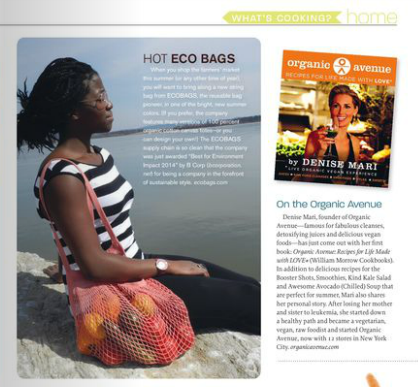 If you want to meet up and talk with Sharon, give her a call or send a tweet @ecobags, #meetupexpowest. Great and unexpected things can happen at these shows.